Far from being criminal in the eyes of collectors, this outpouring of varieties has long been viewed as both a bonanza and a challenge. Some collectors, notably the late Harry X Boosel of Chicago, have made the coinage of 1873 the focal point of their numismatic pursuits. Almost all are intrigued by the size and scope of this one-year set, one which makes its modern counterparts seem puny by comparison. Actually, hardly anyone looked upon the Mint Act of 1873 as a “crime” at the time it was passed. That term didn’t arise until several years later, when silver-mining interests and their powerful friends in Washington, disgruntled by a decline in silver coins’ production levels, reassessed the law with 20/20 hindsight and blamed it for all their troubles, mainly because it had abolished silver dollars. By the late 1860s, the U.S. coinage system was a crazy quilt of denominations and types. The Mint was producing two different kinds of three-cent pieces, two different five-cent coins and two kinds of dollars (one in silver, one in gold). Some coins had clearly become superfluous. This, plus other inefficiencies, led to the appointment of John Jay Knox, a man of unquestioned integrity, to oversee a review of the mints and the coinage system. Knox soon concluded that the basic monetary law of 1837, as amended piecemeal in the 1850s and `60s, was no longer adequate to serve the nation’s needs. He urged that U.S. coinage laws be streamlined and strengthened, and he drafted a proposal for accomplishing this. In dropping silver dollars from the Mint’s production lineup, the Coinage Act of 1873 seemed to be simply acknowledging that the large, bulky coins were seeing little use in the nation’s commerce. 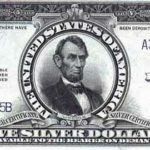 Initially, the silver interests didn’t put up much resistance, because the law provided an alternate outlet for their bullion with the newly authorized Trade dollar. 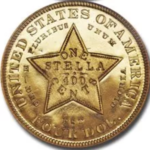 As the decade wore on, however, it grew painfully apparent that the Trade dollar wouldn’t succeed in its designated role as a trading coin with the Far East. To complicate matters further, huge supplies of earlier U.S. silver coins, hoarded during the war, returned to circulation from their hiding places abroad, forcing the Mint to curtail production of new ones. This drastic reduction in coinage coincided with a dramatic increase in silver-mining activity, notably at Nevada’s Comstock Lode. This squeezing the silver interests and causing them to scream, belatedly but loudly, that a “crime” had been committed at their expense. That in turn led to the authorization of the Morgan silver dollar in 1878. Because of the 1873 legislation, the half dollar briefly became the largest U.S. silver coin issued for circulation (the Trade dollar being intended exclusively for use overseas). It was no mere pretender to this throne, for 50 cents represented a substantial sum of money in that era: Seven out of 10 industrial workers earned no more than 10 cents an hour at the time. For more than three decades, the half dollar had carried the Seated Liberty design, a motif it shared with the silver dollar, quarter dollar, dime and half dime. This design was fashioned by well-known portraitist Thomas Sully and executed by Mint engraver Christian Gobrecht. 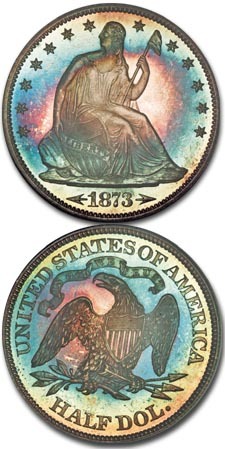 It first appeared on the half dollar in 1839, replacing the Capped Bust design, and it remained there through 1891, giving way the following year to Charles Barber’s Liberty Head design. The obverse features a seated figure of Liberty with her right hand resting upon a shield and her left hand grasping a pole topped by a Liberty cap. Thirteen stars surround her, seven to the left and six to the right, with the date below. The reverse depicts a naturalistic eagle with a shield upon its breast, encircled by the inscription UNITED STATES OF AMERICA and the statement of value, HALF DOL. From 1866 through the end of the series, a banner above the eagle bears the motto IN GOD WE TRUST, which had made its coinage debut during the Civil War. As part of the coinage overhaul undertaken in 1873, the weights of the half dollar, quarter and dime were increased slightly to simplify their value stated in grams. This was part of Congress’ modest attempt to introduce the metric system into the nation’s coinage, following the standard used by European countries. 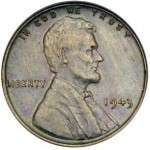 In the case of the half dollar, the weight was boosted from 12.44 grams to 12.5. Undoubtedly, this made metric calculations somewhat easier, but its impact was negligible. It did bring about a minuscule increase in the amount of silver used in U.S. coins, though obviously not enough to satisfy the miners and their friends. By the time the legislation took effect, the Mint had already produced significant numbers of 1873 silver coins at the old weight levels. 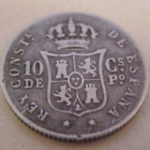 It needed a way to readily identify the new coins, since it would be furnishing these at a slightly different exchange rate to depositors who brought in silver bullion. Officials decided to place distinctive arrows alongside the date on the new, slightly heavier coins. The Mint had used the same device in 1853 to denote a slight reduction in weight. This time, the arrows appeared for only two years and were dropped at the start of 1875. Slightly over five million of the Seated Liberty half dollar with arrows were struck in 1873 and 1874 at the mints in Philadelphia (no mintmark), San Francisco (S) and Carson City (CC). Mintmarks appear on the reverse below the eagle. Proofs were made in both years: 550 in 1873 and 700 in 1874. Both Carson City issues are quite rare in all grades, and especially so in mint-state , followed closely by the San Francisco coins. Type collectors most often find the Philadelphia issues in high grade. When grading this design, wear will first show on Liberty’s head, breast and knees and on the eagle’s head, neck and wing-tops. 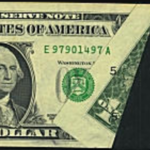 Despite its compactness, with only six date-and-mint combinations, this sub-series is generally collected by type, with collectors pursuing just one high-grade specimen. In that context, though, it’s enormously popular, due in no small part to its linkage with a “crime” that really wasn’t. Why are the fractional coins of 1851-52 more common than the dollars?